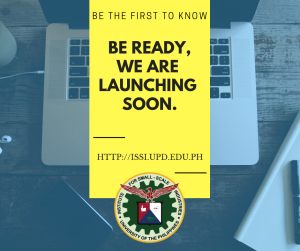 UP ISSI is known for its training, research and extension programs for aspiring and established entrepreneurs. Designed by Delfin Sanchez, Armando Reyes, and Raul Paredes, the UP ISSI building or Virata Hall is, unbeknownst to most, adorned with several art pieces made by known artists, such as the late National Artist for Sculpture Napoleon Abueva. The four murals along the walls of the atrium are Romeo Carlos’ 2003 paintings. Here, artisans of several traditional livelihoods are depicted on Carlos’ paintings. Meanwhile, at the Open Plaza located at the second floor, Apolinario Bulaong’s wall reliefs can be found. They feature Filipino native craftsmanship and field work like logging and farming. The four-storey Virata Hall’s steps leading to next higher floors have paintings that portray barrio and tranquil lives. Further inside the offices and training rooms, more paintings can be found like the donors of the room renovations, art pieces by young artists featuring depictions of micro industrial workers, and art work by UP ISSI employees themselves showcasing their talent for visual arts. More than the artistic adornments of Virata Hall, inside the building are the men and women of the pioneer MSME catalyst in the country. Thousands upon thousands of entrepreneurs and their staff have been built up through UP ISSI’s service streams since 1966. From a bilateral agreement between the Republic of the Philippines and the Royal Kingdom of the Netherlands to conduct and help the small-scale sector of the Philippine society, the UP ISSI is now a robust and known institution celebrating its 53rd year.